Special education spending in fiscal year 2017 was nearly $1 million over budget, according to York School Department year-end tallies. The reasons are numerous, say school officials, as the department transitions from a problematic past to a compliant future. And while they are working to ensure the department is run professionally and competently in the future, “it’s clear we have to do better,” interim Superintendent Mark McQuillan said. The final year-end tally for the special education department was $5.5 million, $919,505 more than the $4.6 million budgeted. Because of an unrelated spending freeze, reduced transportation costs and other factors, the school budget as a whole ended the year only about $90,000 in the red, Director of Finance and Operations James Amoroso said. The budget still has to be audited. The fiscal year 2017 budget was already approved by voters when SPED Director Erin Frazier was hired in July 2016, so she was dealing with a spending package not of her devising. “The big challenge is that the budget wasn’t developed to meet the needs we were seeing” among the special education student population, she said. Frazier was hired to essentially fix what many school officials saw as a broken system. A 2016 Maine Department of Education report outlined a number of noncompliance issues. The report was requested in part because over the years several parents filed due process complaints against the school department for failure to provide an education as mandated by federal special education law. As the school year progressed last year, discrepancies began appearing by late fall. Officials discovered the school department had not submitted its application for $423,000 of federal pass-through funds, called local entitlement funds. Typically, the application is submitted so that funds are available July 1. In January 2016, SPED director Melissa Camire resigned and interim director Karen Ropes was hired in March to fill in until Frazier was hired in July. “We had a shift of three people and in that shift, this didn’t happen. I didn’t understand it hadn’t been done and the state doesn’t alert you,” Frazier said. The school district finally received the funds in November but cannot be applied retroactively, Amoroso said. These entitlement funds can be used to cover some salary, out of district placement and outside services costs — all of which had to come out of the taxpayer-funded operating budget for July through October. Frazier said she made sure she secured those funds by July 1 of this year. Meanwhile, the legal services budget was quickly surpassing the $20,000 budgeted for FY 17, and the department ended up spending $166,462 — 732 percent more than budgeted. This number is lower than the $196,874 spent in FY 16; in that year as well, $20,000 had been budgeted. Amoroso said the department’s legal firm does not differentiate between new and old cases when it bills, so he did not immediately have a way to break down more recent cases from older cases. Tied somewhat to the legal costs was the amount of money spent on out-of-district placements for students who for one reason or another are not being educated in York. Some students may have significant developmental delays. 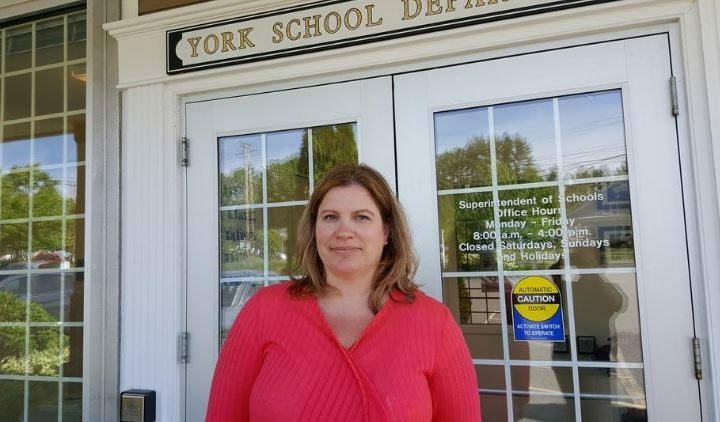 Parents of others, according to due process complaints, have taken their kids out of York and placed them in other schools because they did not believe York was providing an adequate education. Under federal law, the school district is responsible to pay out of district costs. In FY 17, $747,000 was spent on 17 out-of-district placements, and $523,000 was budgeted for 12 placements. One reason for the high overages in placement is that the school district does not have a contingency fund to cover unexpected increases in this account. McQuillan and Frazier said they have always worked in districts that have had such a fund. Frazier said the DOE report was critical of the department’s Individualized Education Programs (IEPs) for SPED students. She put much of her effort this past year to improving IEPs. She is personally involved in all IEP meetings and provided training for staff. “The IEPs are stellar at this point. We’re providing good oversight and instruction, and we’re increasing programming in the district. I am very pleased with the staff and how they’re stepping up to the plate,” she said. As the department has transitioned to a system that works to provide programs in-house, contracted services also spiraled up in 2017. For instance, nearly $112,000 was spent on psychological testing, and no funds were budgeted; $41,500 was spent on a special education consultant, and again, no money was budgeted. Frazier and McQuillan said there may be budget discrepancies at the end of this fiscal year as well. For instance, only $47,000 has been budgeted for legal services and that is likely to be higher. Frazier said she asked for more, but the dollar amount was reduced during budget deliberations. Overall, she said she needs more time to build an appropriate budget with appropriate services. As this happens, there will be less need to spend money on legal services and out of district placements. “I think we’re in the middle of a shift and I do believe it will change,” McQuillan said, adding she doesn’t there will be an easement until FY 19. “The first thing I see as imperative is we have to gain more trust in the parent community. We have to be totally transparent about the need for us to get better. That’s the story,” McQuillan added.